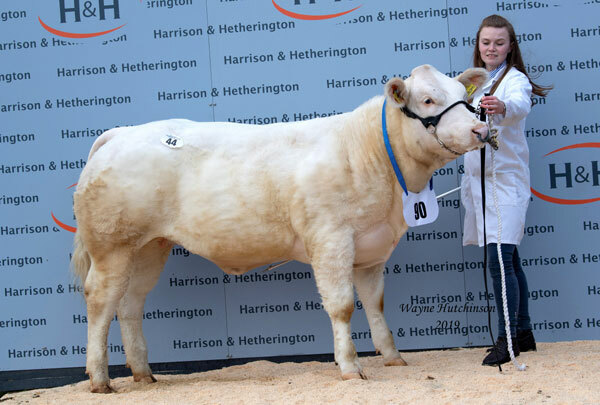 The first sale of the season January 2019 for the British Blue cattle saw the Pendle Herd sell Pendle Naomi an all white yearling heifer for 3200gns. her ggsire was Greystone Bonzer who was top price Bull Carlisle May 2008. Her dam Pendle Kiwi was reserve champion female calf at the Borders calf show January 2016. We also sold embryo’s today topping at £640 for Pendle E Bye Gum x Heros Du Peroy. Visitors are always welcome, by appointment please.